The documents of the Second Vatican Council emphasize the fundamental importance of the holy Eucharist for Christian life. The council’s Dogmatic Constitution on the Church famously declared that the Eucharist is the source and summit, the “fount and apex,” of the Christian life (Lumen Gentium, No. 11). St. Pio of Pietrelcina said that it would be easier for the world to survive without the sun than without the Mass. Many have noted that the Holy Sacrifice of the Mass is the greatest gift God has given us. Considering this, we should be striving with all our might to encourage people to come to Mass and to be properly disposed to then receive the Eucharist. What are we doing to bring people in? What can we do to encourage attendance at Mass? As Christians, our life’s work should be about the salvation of souls by bringing people to closer and more intimate union with Jesus Christ. We should want absolutely everyone to come to Mass and receive Our Lord. A good start would be to set our sights on those who are Catholic, even those who already are part of the parish but don’t attend regularly. We want the Mass to be a priority for them. At sporting events, one of the ways teams boost attendance is by making it a spectacle. Sometimes the athletes themselves aren’t enough to pack a stadium. To get folks to leave the comforts of their own living rooms and come to the ballpark or stadium, one trick sports teams utilize is the magic of the giveaway. Whether it’s Autograph Night, Free Bobblehead Night or Star Wars Night, the idea is to offer something enticing apart from the main event itself — something to make it even more worthwhile to come out. Of course, the Mass has the ultimate enticement: the holy Eucharist. Even if someone doesn’t really care for the homily or the music, they know Jesus Christ will be made present: body, blood, soul and divinity. And this is what must be emphasized when we encourage people to come to Mass (and then to keep coming back): The Mass is unlike anything else in the world and offers something that can’t be found anywhere else. It might be tempting to water down the Mass, to try to make it more approachable, relatable or familiar. This simply will not work. If the problem lies in convincing people to leave their living rooms on Sunday morning, why would we try to recreate that living-room experience? No, it needs to be emphasized that the Mass is something altogether unique. To emphasize this uniqueness, we need to present the Mass for the remarkable, God-given thing that it is. An authentic celebration of the liturgy, among other things, helps to show that the Mass is truly one of a kind. To do this, we as Catholics need to present a Mass that adheres to the liturgical rubrics and one that takes full advantage of the rich patrimony of the Church’s liturgical heritage. This is how we will draw them in. Because of the specialness of the Mass, everything in the life of the parish should flow from it, and this should be obvious to any observer. There are many simple, logistical things that can be done to encourage Mass attendance of both those registered with the parish and those in the community who aren’t yet Catholic. To ensure even the registered parishioners are attending regularly, it would be a good idea to give them a little nudge, sending out a mailing or email to encourage them to come to Mass, reminding them of why it’s important (and also reminding them of the times Mass is available throughout the week). A simple outreach like this — or, for a smaller parish, even more personal touches like home visits or phone calls — really can make a difference. 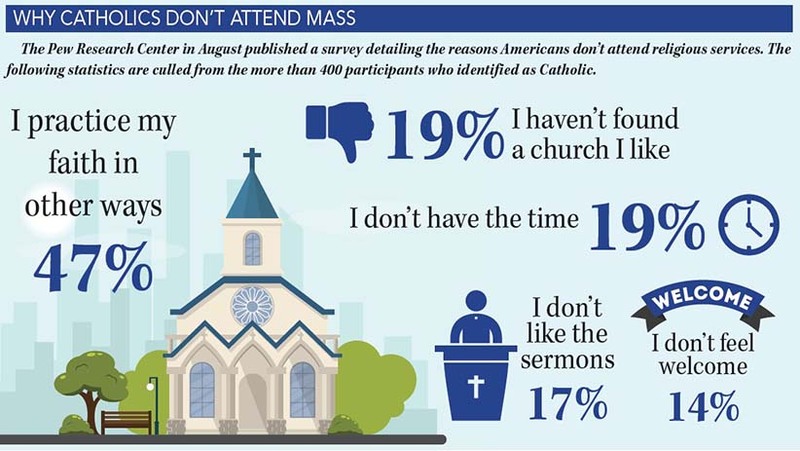 If someone feels anonymous, like just another face at the parish, they are less likely to want to be part of the larger community, including attending Mass on a regular basis. If the parish has a sign on its grounds, the Mass times should always be listed. And perhaps there are businesses around town like post offices, grocery stores, community centers, libraries that have bulletin boards where the parish could put a notice of the Mass times. Encourage those in attendance at Mass to bring a friend. Oftentimes, people don’t go to Mass because there is no one holding them accountable, or no one to share the responsibility with. A simple gesture such as an invitation from a friend may be just the thing that is needed to get them back into the pew. Encourage confessions at the parish. Not only is it vitally important to partake of the Sacrament of Reconciliation regularly, but when someone’s soul is properly disposed to receive the Eucharist, they are more likely to understand the importance of attending Mass. As Catholics, ours is a Church alive. Nowhere do we find this more than when our parishes are full of young families. We must emphasize this by encouraging parents and grandparents to bring children to Mass. If families do not feel that they are welcome with their children, the chances of not attending increase dramatically. 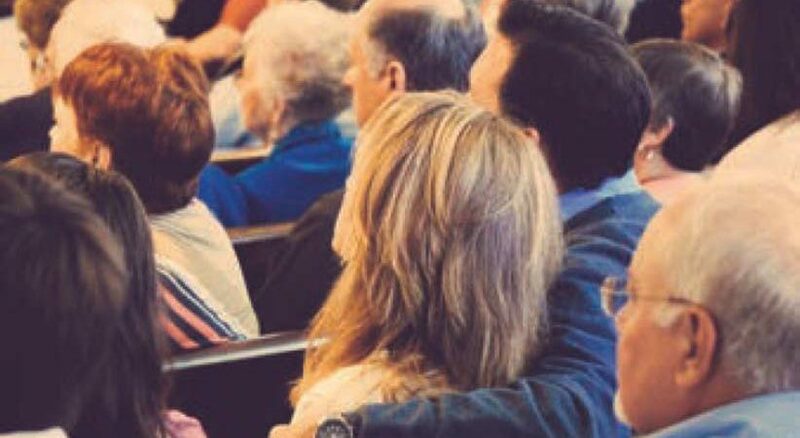 There is a saying: “The church that is not crying is dying” — in other words, if there are not families with young children in attendance, the church is already aging out. Sure, it can be frustrating or overwhelming when there are children crying or speaking loudly during a homily, or banging their toys on the pews during the Eucharistic prayer, but to encourage Mass attendance among families, they must be made to feel welcome. On that same point, it can be very beneficial to offer something specific for children at Mass. This is not something to distract them from Mass, or kill time, or an alternative activity or day care during Mass (heaven forbid! ), but something to help the children pray and experience the Mass. Perhaps a small bag of books for each child to use during Mass: Bible stories, prayers, age-appropriate missals that help walk them through the Mass. In order to get the community to see the importance of attending Mass, make it clear that Mass is not about an hour’s obligation each week; it is an opportunity for something that cannot be found anywhere outside of the Catholic Church. This intimate contact with God is unique to the Holy Sacrifice of the Mass. People often say things like, “Isn’t God everywhere? Then why should I have to go to church?” It isn’t about being “near” God in a technical sense. 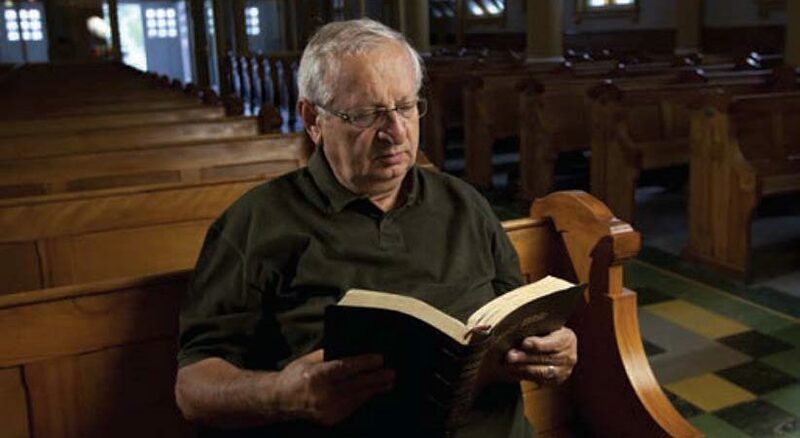 It is about that intimate, conscious, intentional “being with.” We come to Mass to praise God, to offer along with the priest the sacrifice of Christ, to give thanks to God for the marvelous and wondrous deeds he has done, and to do all of this in our greater Catholic Christian community. There are many ways we can encourage people to attend Mass, but we must do them out of love and with a sense of mission — not simply because we want more envelopes in the collection baskets, but because we all are called to be part of the New Evangelization that calls for us to reach out and bring others to a closer relationship with Christ, our Savior. And once we’ve gotten people to Mass, the important follow-up question is this: Are we giving them all we have to offer? It is certainly obvious that any parish community will be different; every city is different; every state is different; every region is different. What may be an incredibly effective method in one place might be completely unreasonable in another. Each parish needs to discern the best ways to encourage Mass attendance and how to give the faithful the fullness of authentic liturgy. PAUL SENZ holds a Master of Arts in pastoral ministry from the University of Portland and lives in Oregon with his family.